GoBoilers.net: Where are they now? Sometimes it helps you appreciate where you are by looking at where you aren't. During Matt Painter's first season as head coach in 2005-2006, he was left with a mediocre team at best, and a hodgepodge of misfits at worst. Add in season-long injury red-shirts to the team's two best players (Carl Landry and David Teague, I still love you! ), and Painter was left with a squad of guys who would have failed the Wonderlic test or who tried their darnedest but just weren't that good at playing basketball. Now, it's not really fair to call the 2005-2006 season the worst year ever statistically, since Purdue actually had a slightly worse record the previous season, the final one under Gene Keady, going 7-21 and 3-13 in conference play. Despite winning two more non-conference games and finishing just as putrid in Big Ten play, at least the 05-06 team didn't place 11th in conference (thanks Penn State). Also, I'm sure there were some awful teams prior to Keady's reign began in 1981, but I wasn't alive, so it doesn't count. To start off our walk down traumatizing memory lane, let's begin with the team's leading scorer, Matt "I'd rather be doing my engineering homework" Kiefer. You kind of feel bad for the guy that his senior season went down the way it did, having to serve as your team's main offensive threat due to injury when you'd rather have cleaned up misses around the rim and played hard-nosed defense against more skilled big men in the league. But like the frequent tragedy of Purdue athletics, his luck sucked. Instead, Kiefer averaged a team-high 12 points per game (ouch! ), led the team in steals (27), blocks (30), and rebounds (209), while also dishing out the second-most assists (49). No other player even had 100 rebounds all season. This man could do it all (because no one else was good enough to do much of anything else)! So where is he now? After graduating with an impressive degree in Chemical Engineering, Kiefer floated around the Euro leagues, most notably in Germany and Spain. He must have really enjoyed some paella, as he played for five different Spanish league teams until 2010 when he mysteriously quit (I can't speak Google Translatorese). Now Kiefer is an engineering consultant with a pharmaceutical firm in Chicago. You should totally thank him for his years as a Boilermaker by connecting with him on LinkedIn. One thing Kiefer was always great at: making scary faces! That's probably why he switched teams so frequently in Spain - the villagers chased him out of town with pitchforks and torches. We tease because we love. Here's a hearty "Boiler Up!" to Matt Kiefer for actually being an exemplary student athlete and the best player on the worst team ever! Just saw your site from boiledsports and wanna say great stuff and keep up the good work. I very much enjoy the series, thx. Thanks for the update on Matt. 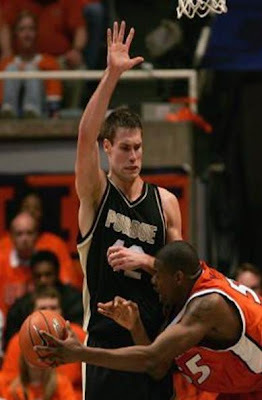 He is one of my all-time favorite Boilers. He epitomizes what it is to be a Boiler. A true student athlete in one of the most challenging majors anywhere, a promising basketball tenure derailed by bad luck, and a total lack of recognition and respect not only by the rest of the CBB world, but by fellow Boilers as well. 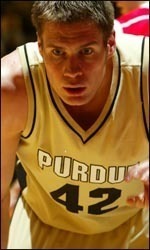 Matt had the misfortune of being the lone bright spot in the black hole years of Boiler basketball. Our heroes are defined by the most successful times, but Matt and the rest of the '05-'06 team deserve our admiration for their dedication to Purdue through our toughest of times. 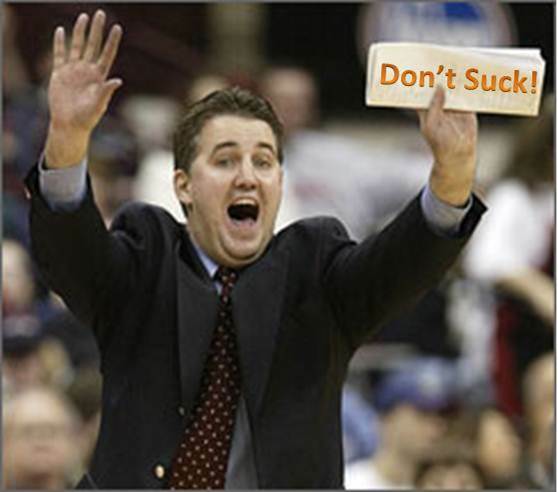 It was started by Matt and another Purdue grad. They make nice scarves and give the Purdue ones plenty of space. I bought one myself. Funny! I know Travis and have heard him talking about his scarf copmany for a couple years now. Didn't know he had partnered with Matt on it though - totally would have given them a shout out in the WATK post! Great find! May's not quite scarf season, but I'll definitely have to look into it come football time. Glad you're all enjoying the series. We love writing them - especially when they turn out well like Kiefer. Hey nice t-shirt and also want to share that I was looking for some high quality Badger Sweatshirts and finally I found a store that has nice clothing stuff.